Steven (Chicagoland, United States) on 17 March 2015 in Landscape & Rural and Portfolio. Photo captured while driving along Highway 179 on May 4, 2013. Remarkable perspective and a rather surreal landscape - bravo! The colorful bluff ahead makes this driving shot extra good. Well done. such beautiful composition, perspective, colors, lighting & textures! The colors are really beautiful. Excellent composition too. Superbe panorama aux couleurs explosives ! C'est l'Amérique dont on rêve ! That is quite the sight to see.... and a front seat view too, excellent! A gorgeous image! I love the red rocks and the blue sky! Wish I was there! What a place to live. Such an amazing view. Nicely shot, Steven. Just like a fortress....splendid rock!!! A very good composition indeed! 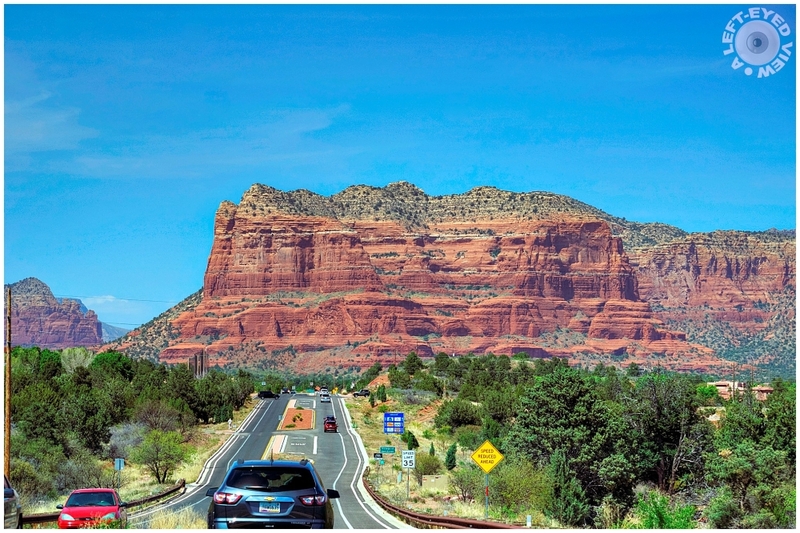 a fine view of this massive rock, and a clever combination of very different landscape elements ... the road and the rock !